Many people with severe food allergies don’t use their EpiPens. A new study found only 40 per cent of patients having an anaphylactic reaction used it before going to hospital – even if they are struggling to breathe. “The main problem for parents is the fear of hurting their child [and] making the reaction worse not using it appropriately,” explained Dr. Moshe Ben-Shoshan, an allergist and immunologist at the MUHC. As a result, doctors are trying to get the message out that the EpiPen is not dangerous. 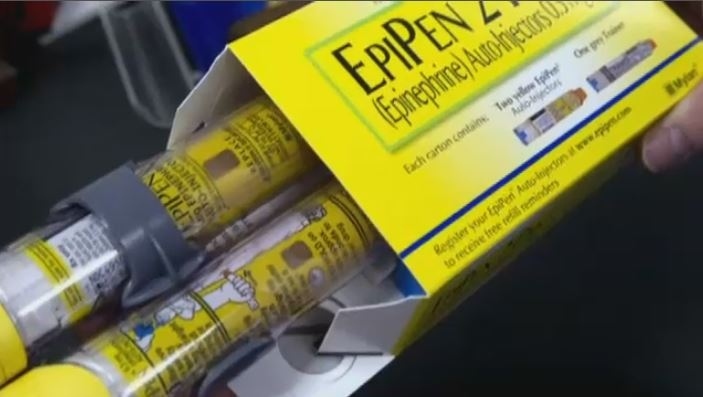 There have been rare cases of seniors dying from taking Epinephrine, but they were given it intravenously – the doses in an EpiPen are safe, Ben-Shoshan says. The problem, he says, is when people don’t give a high enough dose. Generally speaking, however, Ben-Shoshan says people need to be properly informed about EpiPens. “The side effects are rare, but the benefits are immense. You are saving a child’s life if you use it early enough,” he added.